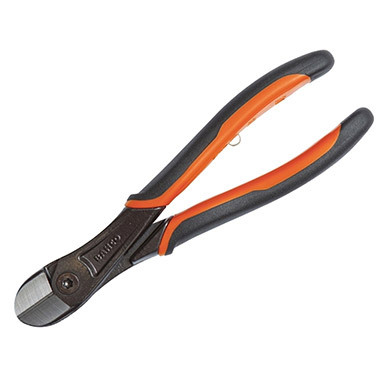 Bahco 21HDG heavy-duty side cutting pliers are designed to survive over 50,000 cuts of Piano wire. Needing only 630N of hand force to cut hard wire, the 21HDG pliers require 25% less effort compared to conventional pliers. Material: High performance alloy steel. Ergo handles in two-material combination. Edges induction hardened at 64 HRC. Cutting capacity: 2.5mm Piano wire.